We offer tumbling, flyer, and strength classes for children starting at age 3! Our class schedule for the 2018-19 school year is located below. 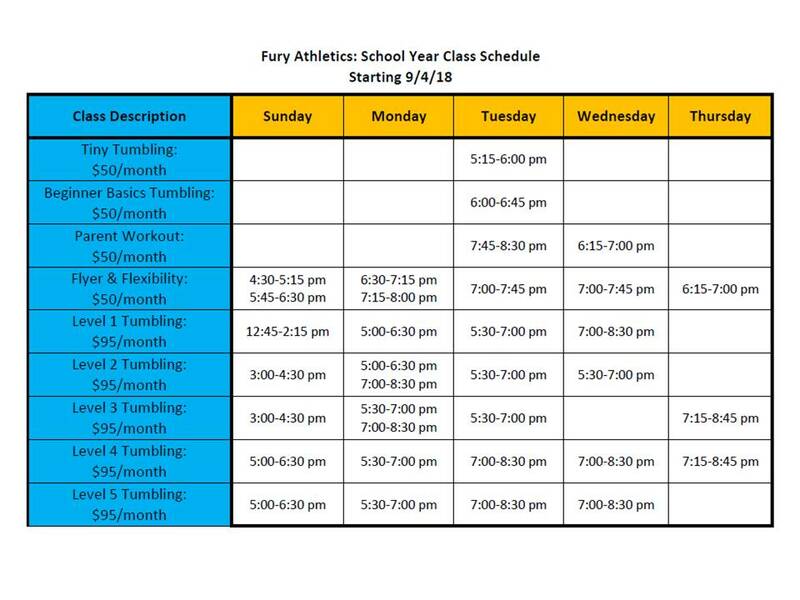 Call us at 608-572-4120 or email us at furyathleticsmadison@gmail.com to register!